I remember the exact moment. It’s 11am. I am sitting in a coworking space in Caracas, the capital city of Venezuela, just starting to feel the rush of my second black filter coffee of the day. From the outside it may seem like I’m in control, but really, I am not. I am in the midst of the development of an online marketplace, scheduled for launch in just 2 short months and I have NO idea how I was to market… the marketplace. I was spending the majority of my time doing what any self-respecting entrepreneur does when he is lost… reading blogs. Midway down that rabbit hole, I stumble across an article by Leo Widrich, the co-founder of Buffer, and everything began to fall into place. When Buffer first started, they were a bootstrapped SaaS product looking to gain exposure, and Leo brilliantly leveraged the audiences of influencers within the world of social media through written content. Surely, I could do the same? There was just one problem… I couldn’t write. When I say I “couldn’t”, admittedly that’s an over-exaggeration. I could, just not very well. Regardless of this, 3 months, 12,324 social shares (an average of 301 shares per post), and around 50k words later and I have been published on HubSpot, The Virgin Entrepreneur Blog, JeffBullas.com and now, the best of all: Traffic Generation Café. But before, I’d like to talk about social sharing and why it will be such a crucial metric in your guest posting campaign. To me a social share is a recommendation, a reader giving your piece of content their seal of approval by distributing it to their social network. They believe that there is sufficient value in your post to risk their relationship with their peers. It is for that reason that I quote the share figures for each post below and that you should use this as a key metric when determining the success of your campaign. I’m going to be honest with you: unless you have been reading and producing blogs within your niche for the past couple of years, you are going to be rubbish, just like I was. Rubbish at selecting blogs to target, choosing your topic and writing the post itself. But do not worry… you can start small and build up your skillset. You can find small blogs within your niche that are looking for content creators. I found my first 5 guest blogging hosts using these sites, which enabled me to find my feet and develop my writing skills. In this example, I did have to review and follow up with the blog owner to ensure our author bio was included. Though I believe the main motivation behind guest blogging is to add value to the audience of others, it is still foolish to prevent that audience from following up with you. What you feel may be obvious to your readership will not necessarily be obvious to the readership of other blogs. Therefore, you must be open to feedback about the content of your posts. Remember, your blog host is just simply trying to help you create the best piece of content possible for their audience, so be sure to consider and integrate their comments. They know their audience better than you do! One of the main questions I ask myself when considering a guest posting topic is: what interesting things have I learnt recently? And at that stage in my guest blogging journey, I was immersed into Lead Generation, so the writing of this particular guest post was simple and enjoyable. Plus, you will experience the added bonus of the mental clarity achieved when teaching a topic to someone else, as opposed to just learning it yourself. This is the image Atomic Reach created for my guest blog post for them. Awesome, right? As a guest blogger, you can add massive value to your blog host by producing a unique and beautifully designed guest post image along with your post. Of course, find out what the branding guidelines of the blog host are before creating the image. Because the reference supports my article. So, the action here is to make a list of your “ultimate guest blog hosts” and start linking to and mentioning their content, so when you eventually reach out to them, they know who are you are and ALMOST feel like you deserve to post on their site. The marketplace I was attempting to market to connects Entrepreneurs with Virtual Assistants. Since we had chosen to artificially create the supply side of the marketplace (Virtual Assistants), we were NOT looking to market to virtual assistants. We were looking to target Entrepreneurs. Though, The Admin Assistant is an AWESOME blog, it was not necessarily the best choice for our guest blogging campaign as this blog targets virtual assistants. So the lesson is, if you are to invest time in guest blogging, ensure that you are targeting the blogs whose readership contain a high percentage of your target customers. If you are just starting out, but already have friends/connections with a similar audience within your niche, reach out to them and propose a guest post – your pre-existing relationship means your post is more likely to get accepted. Once this guest post was published on Aadil.co, I was able to include the link from this well respected blog in my next few guest blogging pitch emails. This added credibility to my pitch and surely increased the chances that my posts would be accepted by blog hosts in the future. If you have any contacts that you have worked with, or nearly worked with in the past, these may be good targets to pitch a guest post to. However, the project he proposed turned out to be a little complex for us, so we did not go ahead. 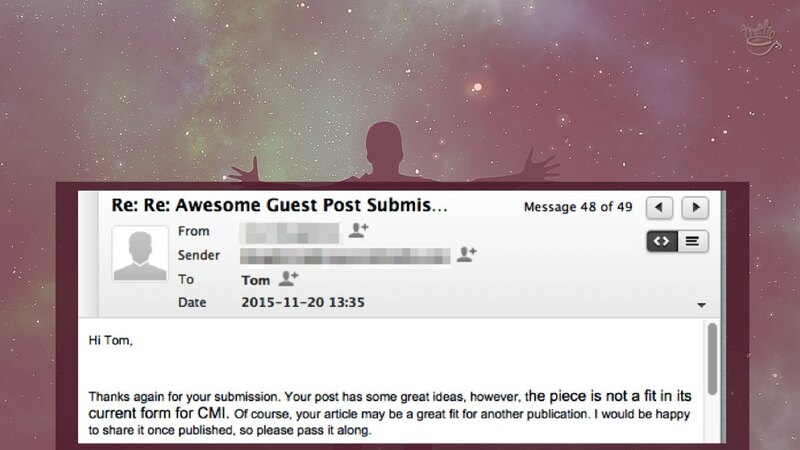 Regardless, 6 months later I followed up on the same email chain proposing a guest post. As you can see from the image below, John responded and I landed my first post on one of the bigger marketing blogs. When trying to “jazz up” this post for Triple SEO, I realized that many posts on Chris’ blog contained a certain type of humor: here is an example. I therefore tried to incorporate this tone of voice and humor by opening my post with the line: “This is not an SEO blog post” as I felt this would be well received by his audience. I believe your post will be far more likely to get accepted if you are able to tailor your content specifically to the audience of that blog, as I did with TripleSEO. It was at this point that I actually started to invest time into developing the post headlines. When you’re just getting started and are approaching smaller blogs, you do not have to spend 2 hours crafting the perfect pitch. Instead of putting hours into the pitch, you should be investing your time in building the skill that will eventually land you those BIG guest blogging spots on your favorite blogs: writing. This post really highlighted the power of mentioning influencers as it received a massive 6.4k shares. However, I wouldn’t have landed this guest posting spot, had I not researched the blog host sufficiently. After following Cody and Thrilling Heroics for a while, I knew he and I read and followed the same influencers. With that in mind, I made sure to include each of those influencers in the post I sent to Cody, hoping to increase the chance the post would be accepted. When preparing a guest post pitch, spend time researching the blog host. Make sure to propose a post that would resonate with the blogger and, consequently, their audience. There is more to life that just business, ROI, and money, right? One of the reasons I reached out to StoryV was because they seemed like a cool couple running an awesome blog. Collaborating and creating value (guest blogging) with other influencers can yield benefits in other areas of your life, beyond just business. It seems achievable to the reader – when you take people on a step-by-step journey that ended up producing a particular result, they will be more likely to take action. It builds authority – if you do manage to achieve a result that many find desirable, it’ll position you as an authority on the subject. It is easier to follow – I am not saying that people are lazy, but if you are able to produce step-by-step guides complete with image and video guidance, your audience are much more likely to take action in line with your content. As I was researching the Launch Grow Joy blog, I cross-referenced their existing topics and their typical reader against my previous experience. However, it is important to remember that these large blogs are hungry for content and, if you are able to satisfy their quality requirements (which you should be able to after writing 15 other guest posts), they will post your content regardless of who you are. ‘Is not a good fit’… yet. However, as my CMI contact shares in her lovely rejection mail above, there is nothing stopping you from re-submitting the same post to other establishments, as I did with Post 17. So, when a blog requests that you send in a full post for their review and you feel like you don’t want to invest your valuable time on a post that may not be approved, just write it anyway and then submit elsewhere if you do get rejected. Only my favorite marketing blog of all time (apart from Traffic Generation Cafe of course ;))! I did NOT think that I was ready for this and that it would immediately get rejected, even with Matthew’s recommendation. When you are faced with an opportunity that makes you feel slightly uncomfortable, say YES! Whenever you achieve a notable result that you believe could help other people within your niche, document your path in a a case study showing exactly how you achieved this result and then pitch the post to a blog host. Everyone has read the “5 Steps To Grow Your Instagram Following blah-blah-blah” post. Attempt to make every piece of content and headline that you create remarkable in some form. What is a “content machine”? These are sites that accept guest content from just about anyone and the site owner (the influencer) does not personally share your guest post with their audience and they may not even share your post at all. Furthermore, when your guest post link is not working (like the link in the title of this section), you do not have someone you can email quickly to get it sorted as they operate a completely automated content collation process. Only produce guest content for blogs where you work directly with the blog host; otherwise your time and effort may be wasted. Once your guest post is live, you are responsible for all interactions between that piece of content and the readership of the blog. I now set a reminder in my calendar to check each guest post, 24 hours and 1 week after posting, to ensure I have responded to all comments. Blog comments are an excellent opportunity to build relationships with new potential subscribers and customers. 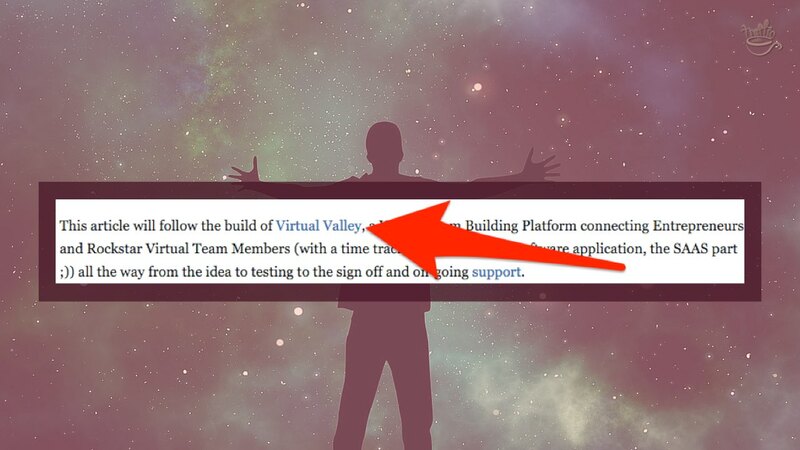 Also, on most blogs, a link to your site/landing page will be embedded with each comment. When you are sharing your experience in the form of an actionable case study as per Post 19, be sure to talk about formulas, recipes, and secrets. People are bored of the “Step By Step Guide To Getting Social Shares” and are MUCH more likely to click on The Buzzfeed Formula – How To Consistently Get 1,000,000 Shares Per Post. However, be sure to only use this technique if you are sure that your content has the quality to back it up. You don’t want to disappoint people. It it’s relevant to mention/link to your business in your guest post, then do so! When I say ‘relevant’, I mean the link adds value to the readers and/or allows them to better understand the context. Take for example this post on Ninja Outreach, where I outline exactly how I outsourced the build of the marketplace that I was marketing. It only makes sense for me to mention and link out to the finished product, don’t you think? Most reasonable blog hosts will allow you to place a link to your site in the body of your guest post if it is relevant, which will drive far more traffic AND link juice than any links placed in your author bio. I can pretty much guarantee that the headline for this guest post (‘Why followers, likes & retweets are worthless‘) has a far greater click-through and engagement rate than a similar headline minus a potentially controversial argument – ‘How to grow your social media following‘, for instance. In my opinion, one of the most effective methods of learning is to teach. Thus, if there is something that you want to learn about because you are interested in the topic or need to do so to advance your business, then write about it. It was at this point that I was building out the blog for the marketplace we were about to launch and I knew I could drastically increase our email optins by offering alternatives to the newsletter. Therefore, I decided to research this topic further to enable us to improve our conversion AND would then write up these notes and propose as a guest blog post. This shows the importance of focus. Had I written guest posts for blogs in various niches, Mohit might not have heard of me and accepted my guest post submission for his blog. Choose a niche to target with your guest post submissions and, over time, you will get noticed and will find it easier to land guest content spots. You can borrow authority from influencers within your niche by quoting them in your content. I used Richard Branson’s quote above to add authority to my headline and opening of this post. Is there a celebrity or influencer within your niche that has an opinion or has taken a position that supports your guest post? If so, use their authority. 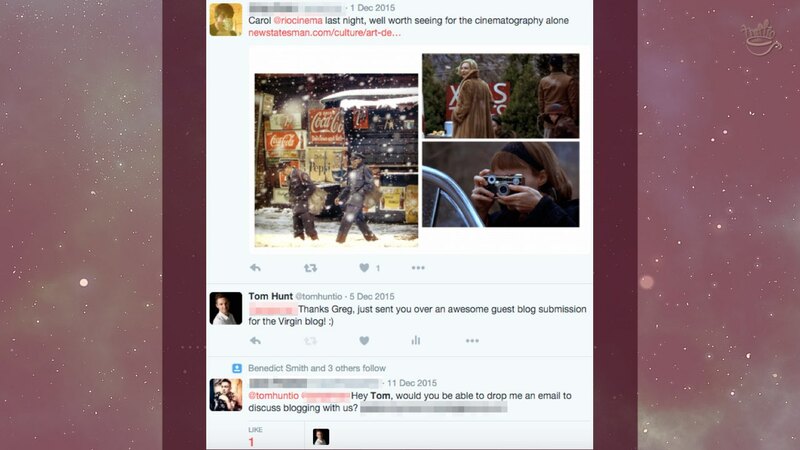 I don’t think I would have secured a post on the Virgin Entrepreneur Blog without that tweet. I would recommend keeping the tweet simple (as shown above) and sending it right after you email your pitch to the blogger. I proposed my idea for the post and Kavi approved, but he wanted to produce it himself, which was fine by me as he agreed to feature me in the post. Find people that produce content around topics within your niche and pitch them post ideas. It is likely that you will end up with some form of recognition. Before settling on your guest post pitch, search for other posts on the topic and identify how you could potentially create a better piece of content. After reviewing the search results above, it seemed that a better piece of content could be created with a larger selection of accounts and by taking a slightly different narrative. And as you can see from the share count, it was well-received. Do not be surprised when your article is posted with edits made to your content and/or headline. As a guest blogger you are handing over your content to the blog host for them to publish as they wish, regardless of your opinion. My initial headline for this post was 5 Books Every Entrepreneur Should NOT Read (If You Want To Make Money) and it was changed to Get Deep: 5 Books Not to Read If You’re Just Interested In Getting Rich. Which one is better? That’s irrelevant as the blog host has the final say. Blog hosts want to see that you are a real person who actually wants to add value to their audience. The best way to do this is to include links to previous relevant guest posts in your pitch email. Note that I also mentioned I would “implement the same promotional strategy that gave these previous posts such awesome exposure”. Who could reject that offer, right? Evidently not Loz from Content Champion! Furthermore, when people hear stories about you, they get to know you on a deeper, more intimate level. They may even go on to tell those stories to other people thus helping you spread your message. If you get the opportunity to tell a story about your journey that would add value to the audience of a specific blog, take it. And how did I know that Aaron/his audience would be interested in my journey through morning rituals? Twitter, of course. For this guest post, I analyzed the income reports of various online influencers to determine the most lucrative type of affiliate products to promote. This approach will enable you to build a valuable, concrete conclusion that could add value to the readers. Have you spoken with them before? Do you want to work for them? Do they know someone you would like to know? Can they add value on the topic you are covering? Of course, I reached out to each influencer when the post was live to request that they share the post with their audience, which resulted in the post being shared 197 times. When proposing topics for larger blogs, I suggest spending at least 1-2 hours browsing through their content and using BuzzSumo to really understand the type of content that their readership enjoys (and shares). As per Post 15, you can then cross reference any findings against your previous experience to produce a relevant actionable mega post that will blow the blog host AND readership away. As per Post 18, I almost exclusively say yes whenever offered any guest posting opportunity as I see each post an opportunity to improve my content creation skills, help people, and to spread the word about my work. When creating any piece of content, if you are able to cover a topic that helps to move your potential customers down the road towards their end goal, via your product or service, you can both help people and increase your sales at the same time. In this example, I created a post that educated the readership on the benefits of outsourcing, also hoping some readers would then decide to move forward with outsourcing and do so with our marketplace. A headline is described as “blind” if it hides certain information from the reader. This type of headline could be used to increase click-through rate, but could also increase bounce rate if the reader leaves without consuming the rest of your post once they discover the hidden piece of information. If you do choose to use a blind headline, you must build sufficient curiosity around the rest of your content in the introduction of your post, so that your reader is motivated to consume the rest of your post. If there is a blog that you really enjoy and REALLY want to post on, do not be discouraged by an initial rejection or non-response. Continue to add value through commenting, sharing content, and eventually, you could get through. When I originally reached out to Ana (our awesome blog host) through Google+ to pitch a guest post, I got no response. In summary, I have built 42 high quality guest posts that have established my authority in the world of online business and have built 42 solid backlinks currently sending traffic to our marketplace. However, I believe that the impact of this campaign lies in the relationships that have been forged with key influencers in the online business world. I am a true believer that the success of your online business will be massively impacted by who is “on your team” and would be happy to support and promote you and your mission going forward. Due to the guest posting efforts outlined above, I am now in a much better place to approach each of the above blog hosts with a pitch to collaborate on another piece of content, that could potentially result in affiliate relationships to fuel the growth of our marketplace. Who are the influencers within your industry that would be great to have “on your team”? You know that one friend of yours that was planning to embark on a guest blogging campaign? You could shave hours or even days off their learning curve by using the social icons below to send this article over to them. Tom Hunt is a TEDx Speaker, Dragon’s Den Failure And Founder of Virtual Valley: a platform that connects Entrepreneurs and Rockstar Virtual Assistants with the mission of giving Entrepreneurs back 1 million hours of their time by 2018. Tom also shares his best marketing techniques with all the legends that sign up here. An incredible journey! Thank you for sharing your results. I believe that content marketing is becoming a network of friends. The best recommend the best. You, Tom – the best! I am proud that we are familiar and we help each other sometimes. Great. Winning more social shares for your content means winning over audiences. As a marketer, we need to put in the effort to create the type of content people want to share. With great material in place, you can leverage creative opportunities to promote it and generate more exposure. Thanks for sharing! Awesome guest post. Bookmarked it. Just starting on guest posting for LetReach. These lessons and tricks will surely help me. All the best with your new endeavor, Akshat! If you are looking to increase your search engine rankings for head terms through guest posts, you are wasting your time. It may work for now, but eventually it won’t. But if you are looking to increase your overall branding, referral traffic, and sales, you should continually guest post. This will also help you improve your overall site authority, which should help increase your long-tail traffic. Wow, what an awesome post. So much to learn from it and all for free! Great, thank you very much! Time to apply these great tips! Pleasure, Karin; thanks for coming by. First I would like to congratulate you for writing such a nice article in so much detail. It really is helpful and I’m looking forward to read more articles from you. Keep up the good work. Cheers! I like you are so opened to all people you are working and worked with, I totally agree about building relationships and caring about good terms. And also it’s so important to share with people with your own experience, with that topic that is precious for you. I think it is the way of living weighty and contributing to growths of others. You really hit it out of the park with this guest post on Ana’s blog. Guest posting is a great content marketing strategy. I’m going to put this post in my bookmarks and I’m going to use all the top tips from you! Thank you so much, keep up the great work Tom! I believe that when just starting out with social media, like literally no followings at all, most people would still go ahead and recommend to start on multiple social networking site, I really find it’s hard for them if they do it? Yes, plenty of folks would say you have to be just about everywhere from day one. When I first started Traffic Generation Café, I chose to be ONLY on Twitter. Turned out to be a great decision. So much so that my blog grew from nothing to under 20K Alexa ranking in 2 months. I don’t think those other ‘experts’ can top that – no matter how many platforms they are on. I totally agree that guest posting is a great method to start getting traction to your blog, I always make sure I share the post to get initial traffic. I share on social media, my list and anywhere else I can gatecrash. Your shares are much appreciated, Elnaseh! There were so many information to be digested in one reading setting. I did bookmark this for returned readings. I did write one guest post which I did it because the blog owner’s invitation. Now I can see the benefit in guest posting. I will start to learn to step into that area. Wow! This is so much valuable information. It is going to take me a few days to read over all this, but I already love the first 10 “steps”. Thank you for putting this together. Are you currently guest blogging yourself? I have read so many blogs, I think my eyes are going to pop out of my head. I appreciate all the examples and value you have provided for newbi-bloggers like myself. I’m going to start with bloggerlinkup and start writing. I appreciate it. And reading never ends – whether you are a newbie or a seasoned blogger, Eric. 😉 On the upside, that’s where the best ideas come from! Agreed Ana, that is where good ideas come from. Tom, I post my first blog and it has been approval. Am allowed to share the link of the post to your viewers? I understand if this link will need to be removed. Check your Twitter button in this post. I’m sure many will want to share it to Twitter and it isn’t working. Feel free to delete this once you see it. I just thought it would be the fastest way to get the message to you before you lose a bunch of tweets you could have gotten on it. Thanks again for helping me troubleshoot this, Gail. That’s a cracking piece, Tom. It’s funny you mention the Leo Wildrich article. I too read that 2012 post recently (an interview, I think). Thanks for sharing your guest posting journey. I’ve gleaned some good insights from here, which I’ll be putting into practice. Thanks for the link Ana, and Tom. I love your consistency here. Guest blogging is often done once and forgotten about, and that never helps anyone! @Joe Elliot, writing crap for everyone else and having their own blog as gold is a futile strategy! Who will click on the crap post to uncover the treasure? Not me! And that really does a disservice to the host. We all indeed think they’re a douche. Thanks for the kind words Sarah! And totally agree, I see each guest post as an advertisement, why create rubbish ads? Leveraging the power of guest blogging and social media is definitely one of the most effective ways to fly past the competition. Most people think it’s all about the “content creation”, but at the day it’s the “outreach and content marketing” that matters most. Awesome write up and great examples. Thanks for including ZacJohnson.com as one of your references! 20% content creation and 80% content promotion! Pleasure to have you at Traffic Generation Café, Zac. If you write the same quality for every source you write, I would say you will get noticed. I spoke to a person (can’t disclose) about their strategy, they would write crap everywhere else and on their blog was pure gold. I told them everywhere thinks you’re a douche apart from people who already know your quality. Great insight, I find that online you need to put your best foot forward EVERYWHERE if you want to build a reputation that is respected.